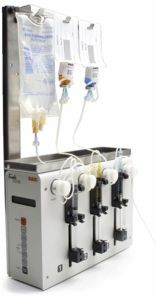 The Empis Automated Drug Infusion system is an automated dosing device that can be used alone or in conjunction with the Culex Automated In Vivo Sampling System. 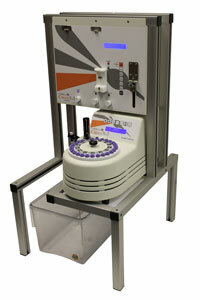 The Empis can be used in several capacities including drug delivery, perfusion device, and automated bile collection. Biosensors enable the monitoring of real-time changes in CNS neurochemical concentrations. Users may record and analyze second-by-second concentration changes of neurochemicals in the brains of freely-moving animals.